Steve Austin was the man. TV Land's Six Million Dollar Man was old-school fun of the highest order. 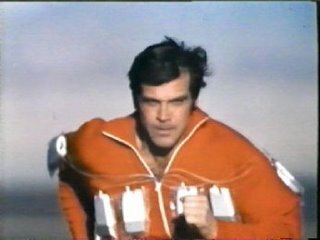 And for a kid growing up in the 1970s, those bionic body parts were pretty cool. My new aortic heart valve isn't bionic, but it's close. It's a piece of graphite about the size of a Susan B. Anthony dollar. Unfortunately, my valve doesn't come with that retro sound effect, whenever the Bionic Man went into action. Mine sort of ticks, like the 60 Minutes' clock. It took a few months to get used to the sound. 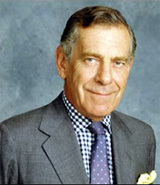 Every now and then I'd wake up in a cold sweat, looking for Morley Safer in my bedroom. And while I'm far from the six million dollar mark, I can safely be hailed as the quarter million dollar man --- at least that's what the hospital bill says. So when I decided to run the New York City Marathon, the first person I called was my cardiologist. "Are you out of your mind?" he asked. You know, I've been getting alot of that lately. He pronounced me physically fit for the race. While he could vouch for the survival of the heart valve, my knees, he suggested, were another story. The biggest challenge --- my weight. I'm from the South. I like my tea sweet, my chicken fried and my biscuits buttered. Hence, the problem. About a 300 pound problem. My cardiologist said I had a choice -- lose the weight or meet an untimely demise. 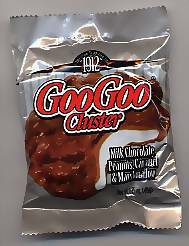 So with great trepidation, I bid farewell to my beloved friends --- the double with cheese, Goo-Goo Clusters, and butter. Instead, I filled my refrigerator with vegetables, lean meat and bought a membership at the local gym. So far, I've lost about 110 pounds --- in the past year. And I've done it without spending a dime. Why give Jenny Craig money, when I'm having to do all the work. I figured, I why pay some else to watch my weight, when I can do it for free? The key --- eating healthy and exercise. 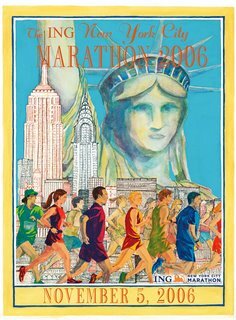 I walk or run at least five miles every day. It's not all that easy and sometimes exercise is a royal pain in the keister. But as they say, no pain, no gain.